Following a succession of releases that’s picked up support from the likes of The Black Madonna, Honey Dijon, Severino Panzetta and more, the London based outfit Disco Milk Records and founder Super Paolo have built a reputation of producing infectious tracks from scratch and focusing on utilizing live instruments. Super Paolo’s MSLU sees him welcome remixes from Opilec Music artist Craxi Disco and Rare Wiri founder, Rayko who has a number of releases scattered across labels such as Nang, Whiskey Disco and Lumberjacks in Hell to name a few. “MSLU” kicks things off with infectious drum grooves balanced with a gratifying sax line and soothing musical elements before Rayko’s remix delivers alleviating bass notes, tranquil pads and gracefully composed strings. Craxi Disco’s remix offers up meditative flutes, luscious atmospheres, and chugged-out percussion until Paolo The Magic Groover Global remix of ‘The Queen of Excel’ rounds off the pack with otherworldy aesthetics fusing cosmic synth waves and winding melodies together gracefully. 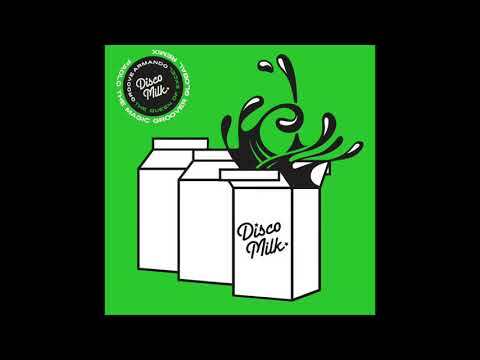 Super Paolo ‘MSLU’ drops on Disco Milk Records on April 8th. Make sure to pre-order your copy here!